Parabolic aluminized reflector (PAR) 20 LED bulbs are basically the Green alternate to PAR20 incandescent light bulbs and halogen floodlights. They give rise to immediate power savings, reduce maintenance costs and are very environmental friendly. 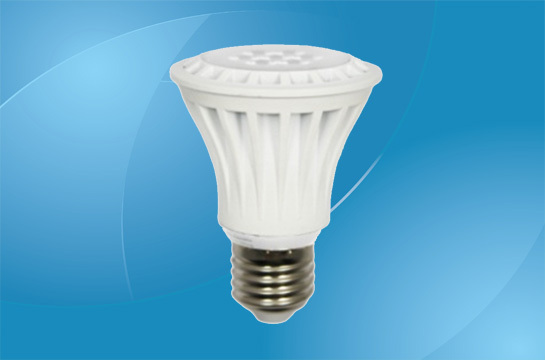 PAR20 LED light bulbs are mainly designed for spotlights, floodlights and indoor lighting. The many advantages of LEDs, alongside the great long life, simply present the PAR20 LED bulbs as the future of the directional lighting. Like other light bulbs, the 20 parameter represents the diameter of the LED bulb in 1⁄8 of an inch. Hence, the PAR20 LED bulbs are direct screw-in bulbs featuring a diameter of 2.5 inches. Most of them tend to have lesser costs per lumen, and even some are waterproof. One great feature is that they are well-designed to fit flawlessly into existing sockets making them a perfect crossover component since there is no problem of incurring extra costs to put up these bulbs. In addition, PAR 20 LED bulbs control light more accurately. They produce about 4 times the focused light intensity of a general service A-line incandescent bulb and hence, they are used in track and recessed lighting. All models have great color as they make use of top-of-the-line emitters. 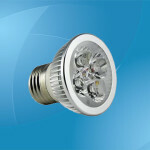 Also, dimmable LED PAR20 bulbs are available in spotlight and floodlight styles and many color temperatures. They normally come in warm white, cool white, red, blue, green, amber and RGB color temperatures. The dimmable PAR20 lamps dim wonderfully if you utilize the dimmers recommended for each bulb. PAR20 LED lamps are also available in a range of colors and beam angles and wattages. Many provide a wide range of beam widths from wide flood to narrow spot. 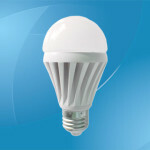 Generally, these LED bulbs have higher energy efficiency and the much publicized statistics is that they are 90% more efficient than the incandescent counterparts. What makes these bulbs special is that they produce brightness with about 75% less power than the standard bulbs they replace. 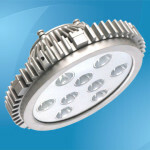 For instance, the high-power PAR20 spotlight bulb utilizes only 9W as compared to a 50 watt conventional halogen lamp. LED PAR20 provides similar beam profile characteristics and light output while utilizing only a fraction of the energy. In addition to this, PAR20 LED lamps last up to 50,000 hours and they do not emit damaging ultraviolet light. PAR20 LED lamps are some of the paramount applications for LED owing to their directional nature. They can be used in many areas around a home or business, including track lights, 4-inch recessed lights and in some styles of pendant lighting. These LED lamps can also be used for architectural, landscapes, show window, artworks, display cases, amusement parks, meeting rooms. They are commonly seen in hotels, retail displays, display cases and even elevators. The PAR20 LED bulbs are unquestionably a breakthrough in lighting technology. Above and beyond the handy specifications and applications, PAR20 LED bulbs have proved to be relatively economical particularly in reducing the ultimate overall costs. 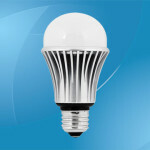 These bulbs simply allow you to set the stage through the use of energy-efficient, environmental-friendly LED lighting. Please contact us for our product catalogue, technical data, and prices.